John Lukacs. Yale University Press, New Haven.1999. pp XVI + 236, Photos. I had lunch with Eda Sagarra in May 2005. I had met her at a lecture by Eunan O’Halpin at the Bank of Ireland and she appeared to be anxious to meet with me again - hence a luncheon at her home a few days later. She is a Fellow of Trinity College where she had been a Professor in German. Surprisingly, for a distinguished academic, she is a keen and frequent golfer. Amongst other things, she spoke admiringly about Winston Churchill and his decision to continue fighting after Dunkirk despite the opposition of many of his colleagues. The conversation led me to this book. 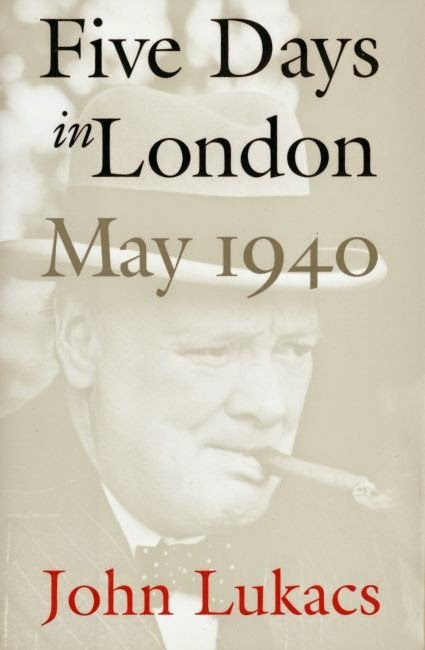 The book is interesting with its principal theme the decision the British authorities needed to make within a few urgent days about continuing the war after the disaster of the successful German offensive in the West in May 1940. 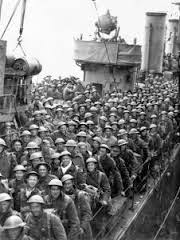 The five days preceded the relatively successful Dunkirk evacuation, and decisions had to be made about continuing the war when it seemed likely that few if any of the surrounded British army would escape from the continent. There were many doves among the leaders who would seek a capitulation but Churchill was adamant that, despite the apparently hopeless situation, Britain and its Commonwealth countries would eventually prevail. It required five days of hectic meetings to reach a decision but one felt that Churchill was never likely to capitulate, even if all his colleagues wished to do so. He gradually wore the doves down and received a prolonged ovation from his colleagues at the last meeting when the decision to continue the war was agreed. 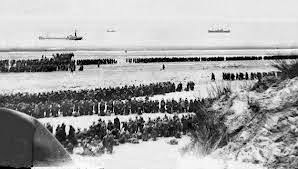 Much of the later pages are taken up by a description of the extraordinary success of the Dunkirk evacuation when more than 400,000 British and French soldiers were successfully evacuated, not only because of the Trojan response of the British at home but also, strangely, by Hitler’s decision to halt the attack on the British forces for two days. Without this extraordinary decision, much fewer would have reached the shores of England and the casualties would have been very much greater. It was a seminal moment in the history of Europe and of the world. I enjoyed the book and at times felt a little of the tension which must have prevailed during these five days. The Hinge of Fate is surely a most appropriate title of the first chapter of the book, and Survival is equally the appropriate title of the last chapter which describes the Dunkirk evacuation in some detail.